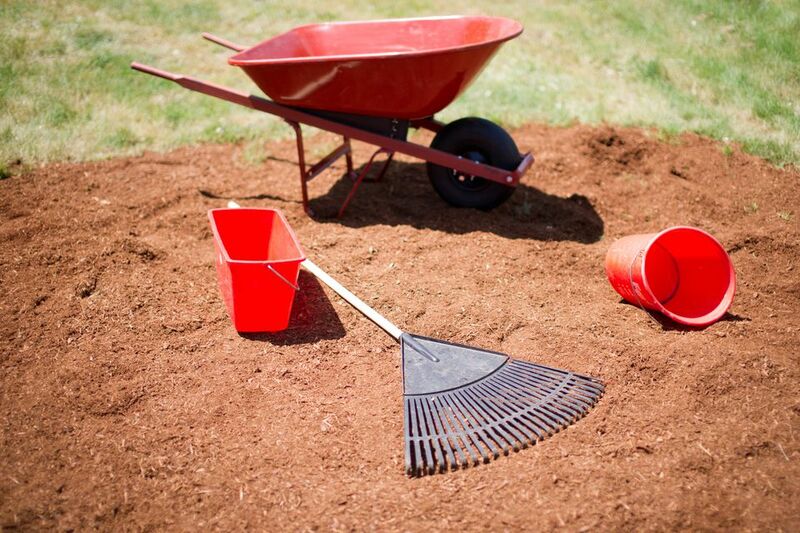 What Types of Mulches Are There Besides Bark Mulch? Among natural types of mulches, the bark mulches and crushed stone are perhaps the most attractive. An advantage of having wooded acreage and owning a wood chipper is that you can use the wood chipper to make your own wood-chip mulch. After chipping up wood to be used as a mulch, people usually compost the chips first. A word of warning, however: According to the UMass Extension service, wood-chips destined to be used as mulch should not be piled up higher than 10 feet in the compost bin. Exceeding that height can cause the pH of your mulch to become overly acidic―perhaps to the point even of damaging plants that come in contact with it. "Bark is the outer covering of the tree and is heavily suberized to prevent water loss...Wood chips, on the other hand, consist primarily of the inner wood, which is not suberized and has the capacity to absorb and hold moisture" (Chalker-Scott explains that suberin is a wax-like substance).